A pint of local ale is something of a British tradition and in recent years there’s been a resurgence of small, independent breweries around the country. The celebration of locally crafted beers and ales is now, thankfully, much more common place. Flavors are rich, well made and packaged and marketed with care by passionate people. Those who have taken the time to learn their trade and craft, often award winning ales and beers have given the industry a real boost. The Lake District is home to over 20 breweries, many with award winning drinks that can be sampled in local pubs and eateries. In this infographic we take a quick look at how beer is made, as well as how to pair it with your food. We’ve also chosen some of the best breweries in the area and give you a little more info on them and how you too can experience not just their drinks but how they’re made. Brewery tours are a fabulous way to get acquainted with the many different flavours and characters of the ales as well as learning how they come to be. They’re a perfect way to break up a long walk or give yourself a treat at the end. So pick up your pint and see where your next outing could be. 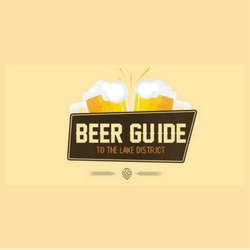 <a href=https://www.craigmanor.co.uk/ a-beer-guide-to-the-lake-district/><img src=https://www.craigmanor.co.uk/wp-content/uploads/2016/10/7-1.jpg alt=”Safety in the Lakes” width=”450″ /></a><br /><a href=https://www.craigmanor.co.uk/ a-beer-guide-to-the-lake-district/&gtSafety in the Lakes</a> by <a href=https://www.craigmanor.co.uk/>Craig Manor</a>.